Mention the name Michael Phelps and most of the world conjures up a mental picture of a tall, lanky American swimmer with Olympic gold medals hanging around his neck. But before Michael Phelps retired as an Olympian with 23 gold, three silver and two bronze medals, making him swimming’s GOAT (Greatest of All Time), he was just another tall, lanky, awkward kid. Like many kids Michael was involved in a variety of sports growing up, including swimming, baseball and American football. But his coach Bob Bowman saw that Michael had the potential to go far in sports, and growing up in a family of swimmers Bowman had no shortage of influence within the sport. According to his autobiography, “Michael Phelps: Beneath the Surface,” he had competed several times in Australia, including the 2000 Olympics. Following Ian Thorpe, his rival at the time he saw just how popular the sport of swimming is in Australia, rivaling the popularity of American Football in the U.S. At the time swimming only enjoyed popularity in the U.S. when the Summer Olympic were held. 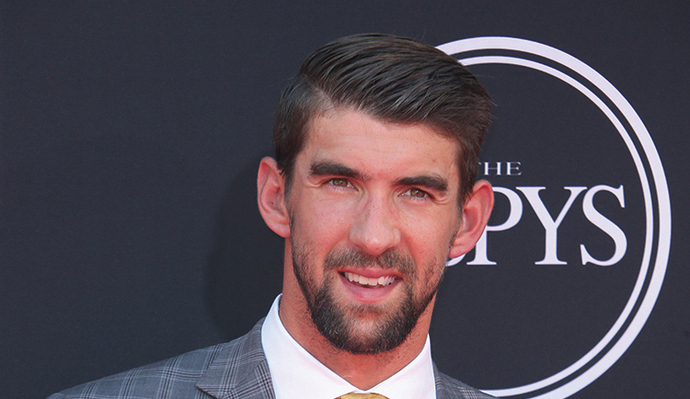 Phelps’ goal was to change that and bring swimming closer to the forefront of American Sport. Taking inspiration from his own experiences learning how to swim as well as his childhood experiences living in a single-parent household, Phelps is working with his foundation to expand opportunities for at-risk youth and kids who might not have the resources or abilities to learn to swim. The foundation’s main program is the “IM Program” named for one of Phelps’ events, the Individual Medley. The moniker “I Am” is to help inspire resiliency and versatility of each participant, helping to instill these qualities into each kid to help in daily life. Through the program, kids learn swimming skills, life-saving skills, health and wellness and water safety as well as life skills to help them succeed both in and out of the pool. The Foundation also has a Level Field Fund to offer financial support for talented athletes with limited finances and a Caps for a Cause program that permits non-profit organizations working to grow sport and/or encourage children to live healthy, active lives to apply for an authentic Michael Phelps-signed swim cap for use for their fundraising events. As Phelps and his wife Nicole are enjoying raising their son Boomer [born just before the Rio Olympics] in 2016 and expecting another child soon, they’re also more keenly aware of the environment and the world they’ll leave their children; this includes saving water. In addition to his work at the foundation, on Earth Day this past April Phelps teamed up with Colgate in their #EveryDropCounts campaign to raise awareness for the need for water conservation. Terri Goddard: Planner of FUN!